Muslims in Luxembourg are a super-minority together with: Protestants, Orthodox Christians, and Jews. Since 2015, Islam is legally recognized in the country. Up until the 1970s, Luxembourg's Muslim population was small. In the mid-1970s, the Muslim population consisted of around 300 people, rising to over 3,000 by the mid-1990s. Since then, the population has doubled due to asylum-seekers from former Yugoslavia, mostly Bosniaks. The refugees came in waves and, aside from the Bosniaks, these were constituted by Muslims from Albania, Kosovo, Serbia, and Montenegro. Most asylum seekers were initially expected to stay less than a few years. Aside from the refugees, the Muslim population was also increased by workers who migrated after the labour agreement between Luxembourg and Yugoslavia. By 2013, Muslims in Luxembourg were constituted of Bosnians (2,303), Moroccans (616), Albanians (502), Turks (487), Tunisians (374), Algerians (331), and Iranians (322). The bulk of the Muslim population lives in urban areas with 70 percent residing in Luxembourg and four other cities. According to the Assembly of the Muslim Community in Luxembourg, it is estimated that about 10,000 to 15,000 Muslims presently reside in the Grand-Duchy. However, it has been illegal for the government to collect statistics on religious beliefs and practices. Furthermore, it is unclear how many are citizens of the Grand-Duchy. There are currently six mosques in Luxembourg: Mamer (which is also home to the Islamic Cultural Centre), Esch-sur-Alzette, Wiltz, Diekirch and Luxembourg City. About 1,000 adults attend Friday prayers regularly in these places of worship. There is also an increasing number of converts and this is reflected in the sermons in the mosques, which are delivered in Arabic, Serbo-Croatian, French, and English. ^ "Finally good news from Europe, Islam recognized in Luxembourg". ^ "Anti-Islamic reactions in the EU: Luxemburg" (PDF). European Monitoring Centre on Racism and Xenophobia. Retrieved 22 August 2012. ^ "Immigration in Luxembourg: New Challenges for an Old Country". Migration Information Source. Retrieved 22 August 2012. ^ a b Scharbrodt, Oliver; Akgonul, Samim; Alibašić, Ahmet; Nielsen, Jorgen; Racius, Egdunas (2015). Yearbook of Muslims in Europe, Volume 7. Leiden: BRILL. p. 378. ISBN 9789004298897. ^ a b c Nielsen, Jorgen; Akgonul, Samim; Alibašić, Ahmet; Racius, Egdunas (2014). Yearbook of Muslims in Europe, Volume 6. Leiden: BRILL. p. 388. ISBN 9789004277540. ^ "Mémorial A, 1979, No. 29" (PDF) (in French). Service central de législation. Retrieved 6 August 2017. ^ "Assemblée de la Communauté Musulmane du Grand-Duché de Luxembourg". This Luxembourg-related article is a stub. You can help Wikipedia by expanding it. Islam in Austria is the largest minority religion and the second most widely professed religion in the country, practiced by 8% of the total population according to 2016 estimates. The majority of Muslims in Austria belong to Sunni denomination. Most Muslims came to Austria during the 1960s as migrant workers from Turkey and Bosnia and Herzegovina. 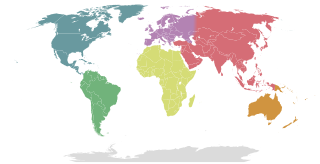 There are also communities of Arab and Afghan origin. Islam in Norway is a minority religion and the second largest religion in Norway after Christianity. As of 2018, Statistics Norway give a number of 166,861 muslims living in Norway or 3.15% of total population, although, the numbers varies in dependece of the source. So, the U.S. government statistics from the CIA registered 121.095 members of Islamic congregations in Norway, roughly 2.3% of the population, according to a 2011 estimation. The Pew Research Center estimated that 3.7% of Norwegians were Muslim in 2010 and 5.7% in 2016. Islam in Hungary has a long history that dates back to at least the 10th century. The influence of Sunni Islam was especially pronounced in the 16th century during the Ottoman period in Hungary. There are many active religions in Luxembourg. The Mosque of the Martyrs, also popularly known as the Turkish Mosque, is a mosque in Baku, Azerbaijan, near the Martyrs' Lane. The mosque was built in the beginning of the 1990s with assistance of the Turkish government. The mosque currently is used as an official residence of religious attaché of the Turkish embassy. The mosque has been under construction since 2009. Ahmadiyya is an Islamic religious movement originating in 1889 in northern India around the teachings of Mirza Ghulam Ahmad (1835–1908), who claimed to have been divinely appointed as both the promised Mahdi and Messiah expected by Muslims to appear towards the end times. 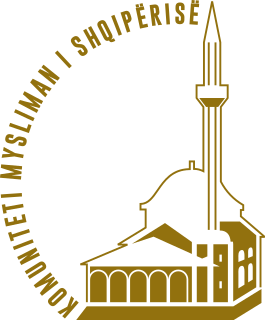 The Muslim Community of Albania (KMSH) is an independent religious organisation of Muslims in Albania existing since February 24, 1923. The headquarters of the community are located in Tirana and the current Grand Mufti is Bujar Spahiu. Cambridge Muslim College is an independent higher education institution in Cambridge, United Kingdom. It was founded in 2009 by its current dean, Timothy Winter. Cambridge Muslim College was founded to support British Muslim scholarship and training from secular and Islamic perspectives. It does not hold a political or denominational affiliation. Mariam Al-Batool Mosque is a mosque located in Paola, Malta. The first stone of the mosque was laid by Muammar Gaddafi in 1978 and its doors were open to the public in 1982, and officiated in 1984. The initial scope of the building was to serve the Muslims in Malta, at the time mainly economic migrants from Libya, and to promote conversions to Sunni Islam among the Maltese society. The term Serb Muslims refers to ethnic Serbs who are Muslims by their religious affiliation.